Styled with barb longsleeve and the icon legging . 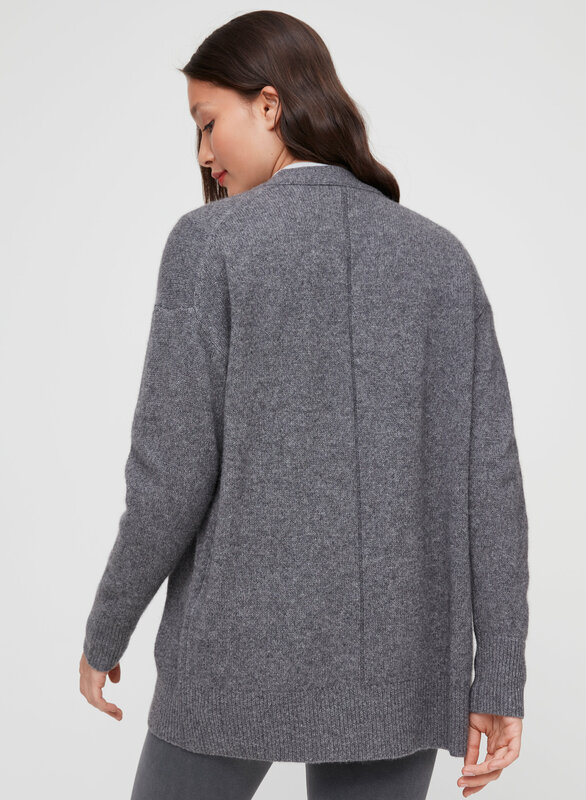 Made with ultra-soft, luxurious cashmere, this cardigan will keep you cozy on chilly days. Throw on the open shawl design over your favourite jeans and tee combo to instantly update your weekend uniform. Very soft cashmere, a bit tighter than I thought but still very comfortable. Can dress it up or down. Got it on sale, no regret! 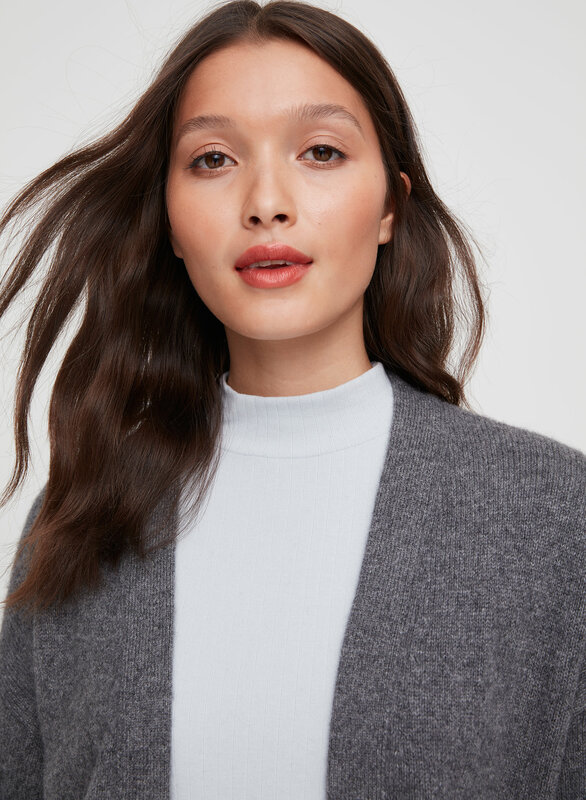 Love this classic cashmere cardigan. It will be a long term staple that will never go out of style. Got the black and the Paloma pink size med (TTS). Very happy customer esp buying both on sale. 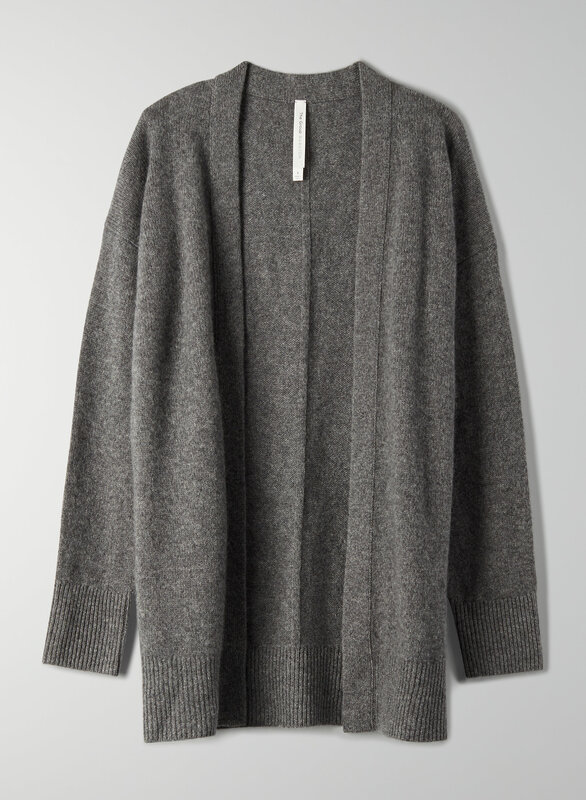 Lovely cardigan with a nice relaxed fit, though slightly larger (particularly in the arms). It's very nice quality, great length and thick ply, but definitely not as soft as I had expected. I'd buy more but they're out in the colour I want... It's only 4 stars for me because of the softness thing. Ordered XXS, while normally I wear XS/S and it fits perfectly well. It’s supposed to be an oversized fit, however, I wanted it to fit a bit more snug, therefore, I went for a smaller size. I was happy to receive a good quality cardigan. A staple in any closet! Super soft and fluffy feel, not scratchy at all. Slightly bigger sizing than what I’m used to but it looks great anyway. Pills quite easily but a good staple in a beautiful colour. 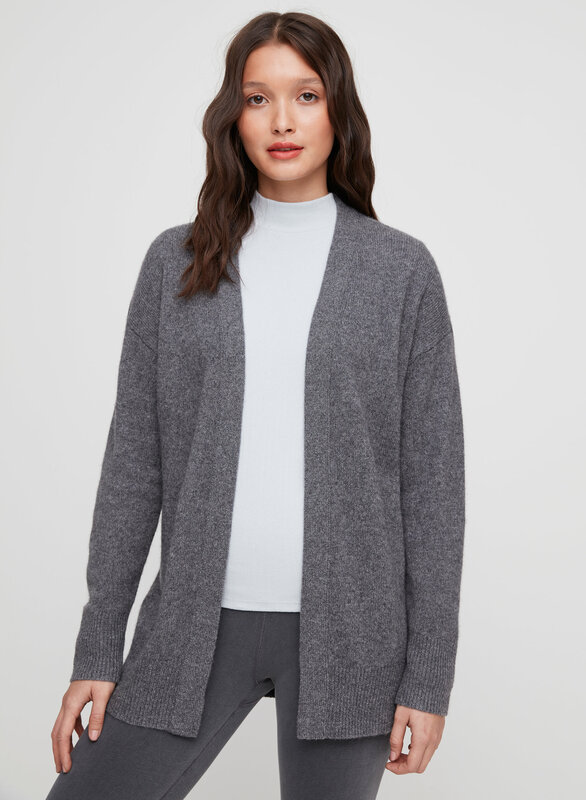 Really beautiful cardigans, I ordered pink and grey. Great value. I initially ordered an xs because I thought this had an oversized fit but my arms were too long for it. I had to size up to a medium to get a comfortable fit in the length of the arms. Super soft! It sheds a little. This cardigan has a perfect fit and is super cozy. Heavier cashmere knit. The longer length is perfect. This sweater is great and can be dressed up or down depending on your need (I bought it in the black). It is one of my coziest and warmest cardigans. 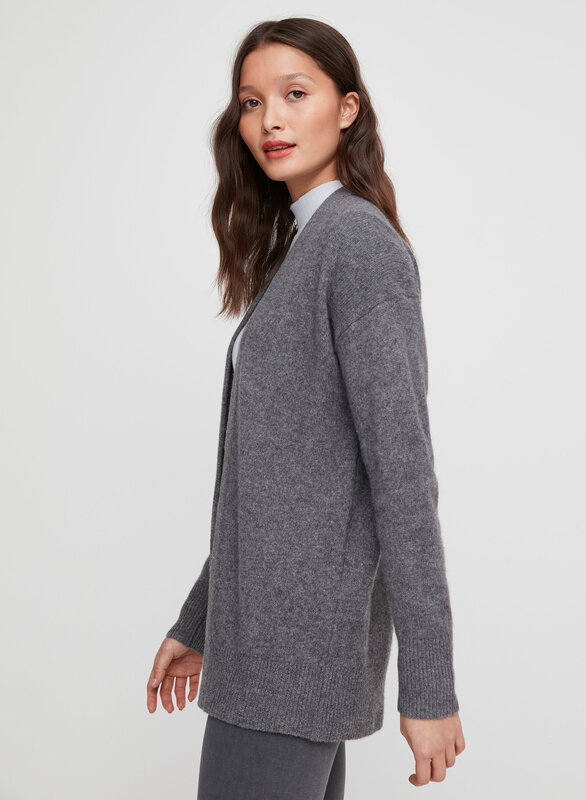 I've been very impressed with Aritzia's cashmere fabric! Cozy well made staple for any wardrobe. A little bulky, runs large.